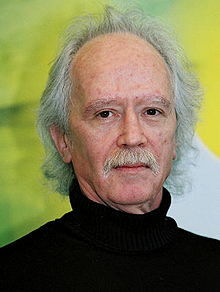 John Carpenter (born January 16, 1948) is an American movie director, producer, writer and actor. He was born in Carthage, New York. He is known for horror and science fiction movies including Halloween, The Thing and Escape from New York. This page was last changed on 29 October 2018, at 00:30.